Everyone knows time is essentially arbitrary. An hour is a useful way of describing the motion of the earth as it spins its path through spacetime, but it is very ineffective when it comes to measuring the human experience of consciousness. According to circumstances, an hour can feel anything from almost interminable to gone in no time at all. Likewise, an hour can variously be momentous, irrelevant, euphoric, excruciating, etc.. To live through some hours feels free; others cost us a lot. For precisely this reason, the hour can be a very unsatisfactory means of monetizing time. Both work and money are essentially human units of value, and yet hours — i.e. equidistant steps along the trajectory of the earth through spacetime — relate to a very inhuman concept of time. One hour is much the same as another to a rotating planet, but not so to a human being. Why therefore are we chained always to this crude way of thinking in dollars per hour when we bill? 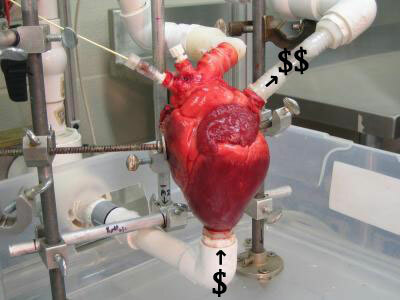 We propose billing according a much more human measurement of the experience of time: the human heartbeat. When thinking of how to cost work, instead of asking how many hours are spent working, heartbeatbilling asks how many heartbeats are expended on that particular piece of work. So when pricing something for a client, a supplier could say a task equates to e.g. 350,000 heartbeats at x dollars per heartbeat, and quote accordingly. This offers three key advantages. Firstly, it is likely the price of a piece of work will more accurately reflect the volume of human lifeforce sucked up. Secondly, if you become more active, accelerating both your biofunctions and the pace of your work, this is justly reflected in the fee. Thirdly, if your client or boss starts stressing you out and pushing up your heartbeat, then you can charge for that. But what if your heart is closed for business?